Nelson Mandela is in a critical condition in hospital, 16 days after the anti-apartheid icon was admitted with a recurrent lung infection. ‘‘The condition of former president Nelson Mandela, who is still in hospital in Pretoria, has become critical,’’ Mac Maharaj, the South African presidential spokesman, said in a statement on Sunday. With the latest hospitalisation, many South Africans have come to terms with the much-loved hero’s fragility. The condition of 94-year-old who entered the hospital on June 8 was said to have deteriorated over the weekend. I hope that South Africa is in a position to move on as a nation together, should Nelson Mandela not survive this. All the best to his family. 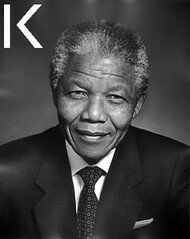 Mandela, who became South Africa’s first black president in 1994, is due to celebrate his 95th birthday on July 18. He has been hospitalised four times since December, mostly for the pulmonary condition that has plagued him for years. Zuma moved to assure the country that medics were doing all they could to save his life. ‘‘The doctors are doing everything possible to get his condition to improve and are ensuring that Madiba is well-looked after and is comfortable. He is in good hands,’’ Zuma said, using the revered leader’s clan name. President Zuma has received some criticism for running the media show while Mandela has been unwell, I think this appears unfounded as his family are understandably concentrating on their father, partner and grandfather, Zuma meanwhile needs to hold the nation together. This entry was posted in Politics and tagged Jacob Zuma, Mandela, Nelson Mandela, South Africa. Bookmark the permalink. Reblogged this on Life in Canberra.